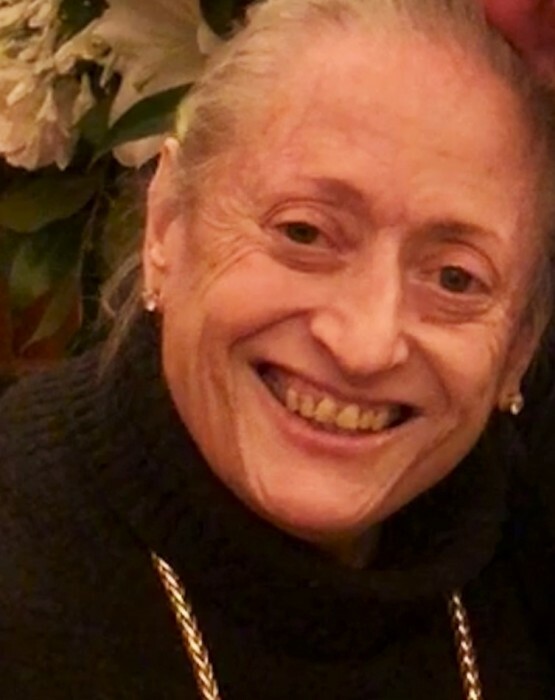 Obituary for Jeanne-Marie Gardner Celli | Frederick Funeral Home, Inc.
Jeanne-Marie Gardner Celli, a brilliant strategist, creative conversationalist, and constant humorist, a friend to many, passed away Monday, Sept. 17, 2018, one day after her 75th birthday. Jeannie was preceded in death by her parents, Leo E. Gardner and Elizabeth Connolly Gardner, of New England, N.D. She is survived by her husband, Tom, and their two children, Delta-marie Cherubini Celli and Michelangelo Cherubini Celli, who were raised in Squirrel Hill and remain near Pittsburgh. Jeannie was a devoted wife and mother, always proud of her children and their many accomplishments. As the oldest of seven children, Jeannie took the role of older sister very seriously and was an integral part of her five brothers' and sister's upbringing. She is well loved by James L. Gardner (Chulaphong), Robert M. Gardner, Lawrence A. Gardner (Marty), Daniel R. Gardner (Maureen), Agnes Gardner Kirchgasler (Kim) and Mark W. Gardner (Leonie). Jeannie spent her childhood in New England, N.D., where she attended St. Mary's, hosted a local radio program, and wrote and set type for the Hettinger County Herald. As a storyteller, Jeannie always could pull incredible facts and fiction from her storehouse imagination, memory, soul, and heart, a truly amazing intellect. Jeannie graduated from the University of Notre Dame de Namur in Belmont, Calif., in 1964, where she majored in Spanish with minors in theology-philosophy and elementary education. Speaking and singing fluent Spanish, she was crowned Queen of the Furrows in North Dakota, which always made her smile. She also volunteered in the Ceasar Chavez migrant worker camps in Alviso and Fowler, Calif. Later, she became the head Spanish consultant and a sixth grade teacher in the Millbrae School District. After meeting her husband, Tom, in Mexico in 1967, they married in June 1968 in New England, N.D. Jeannie and Tom chose to live and raise their family in Pittsburgh. Jeannie continued her work as a teacher at the Sacred Heart School and then at the Western Pennsylvania School for the Blind for several years. She exemplified hope and has given others the courage to make their dreams tangible. Married for 50 years, Jeannie and Tom continued to call Pennsylvania their home and were involved members of the community. In particular, the Cellis shared a great enjoyment of the arts. Their children, Delta and Michelangelo, competed successfully locally and around the world in Irish step dancing. In addition, Jeannie and Tom were regular supporters of the Pittsburgh Symphony and the Pittsburgh Opera. As a direct descendent of Dan Rice Sr. (best known nationally as the symbol of the United States, Uncle Sam), much of her life was devoted to genealogical research. Jeannie generously volunteered to spend time in libraries in Scotland, Ireland and across the United States, locating ancestors for friends and family. Jeannie honored her distinguished ancestors as a longtime member of the Daughters of the American Revolution and The National Society of Colonial Dames of America. Jeannie also used her knowledge of her heritage to create a new literary genre, a genealogical cookbook, titled "Love and Prayers, Mother," where family histories are interwoven with recipes to explain the history and behavior of past and current generations. This work is Jeannie: infused with a mother's love, a sister's care, a historian's attention to detail, a genealogist's persistence, a storyteller's imagination, and a teacher's passion. For the historian, it is important to record, but for the teacher, it is important to share and help others to learn, think and grow. Jeannie designed "Love and Prayers, Mother" to celebrate the Celli and Gardner families' past for generations to come. Jeannie was dedicated to service through the Roman Catholic Church and actively participated on several pilgrimages to Lourdes, France, with The Order of Malta to care for the ill. Jeannie has touched all with her obvious inner strength, faith in God and faith in her family. By her bright smile and engaging personality, she befriended many people from all walks of life. She was always ready with a laugh, and no pun or turn of phrase was ever lost on Jeannie. She loved conversations and had a deep appreciation for the power of words. She will be remembered by many as impacting their lives by being the friend they always had hoped they would meet. She was that friend. She will be interred at Jefferson Memorial Park on Curry Hollow Road in Pittsburgh, PA. FREDERICK FUNERAL HOME INC., Latrobe, is entrusted with arrangements.